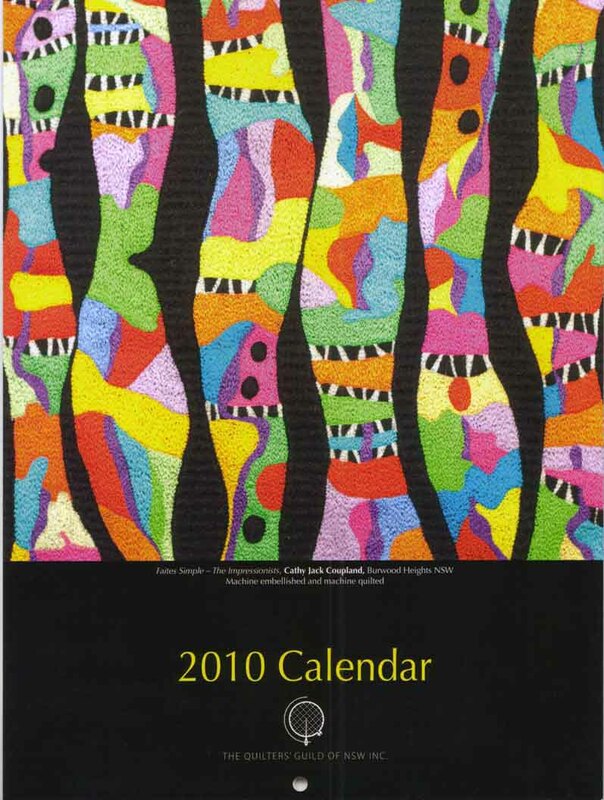 In 2010 you can have a quilt brighten every single day with the Guild's special calendar that you can purchase at the Sydney Quilt Show 2009 and then from the Guild office. The calendars are available to financial guild members at the special Guild member price of $12 plus postage and credit card fee (if applicable) These calendars are also available from selected retail outlets at the RRP of $15. Wholesale enquiries welcome, please contact 2010 Calendar Coordinator or contact our office. There will be an Artists Forum at the Fairfield Museum & Gallery on Saturday, 30 May . In association with the exhibition, A Conversation with Rain – a national innovative contemporary textile exhibition to stimulate and inspire the artists curated by Helen Lancaster. The forum, from 11am-3pm, will be made up of several artists from the exhibition, who will talk about the process of how they work, techniques used etc and debate what comes first – technique or idea. The Central Coast 2009 annual charity quilt competition and exhibition will be held on Sunday 24 May at the Wyong Race Club. There will be a range of quilts on display as well as free demonstrations and workshops. Patchwork and craft supplies and sewing machines will also be available. Proceeds from the day go to Cancercare Services as Gosford and Wyong Hospitals. The next Sunday social meeting for 2009 is this Sunday, 17 May. 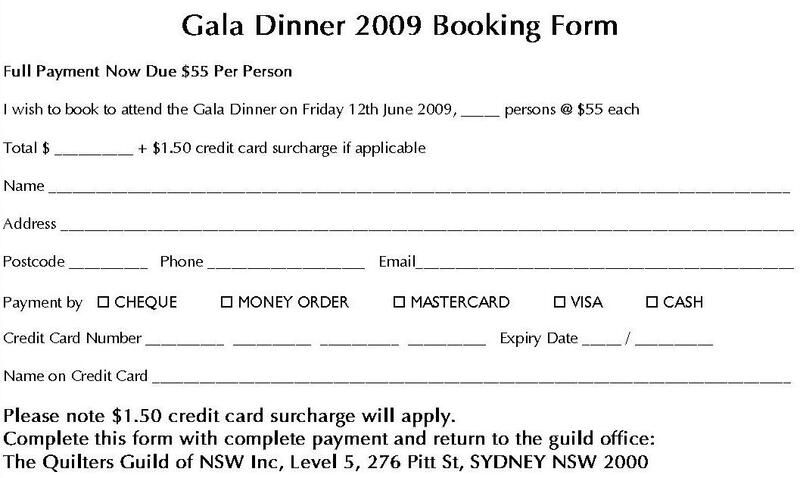 It's time to book your place at the Gala Dinner held as part of the Sydney Quilt Show 2009. Come along for great company and a sumptuous dinner as well as an inspiring presentation from guest speaker Helen Godden. Bookings with payment must be received by Friday, 29 May 2009 at the Guild office. (Please contact the venue directly on (02) 8217 4000 regarding any specific dietary requirements.) Download and complete your booking form. 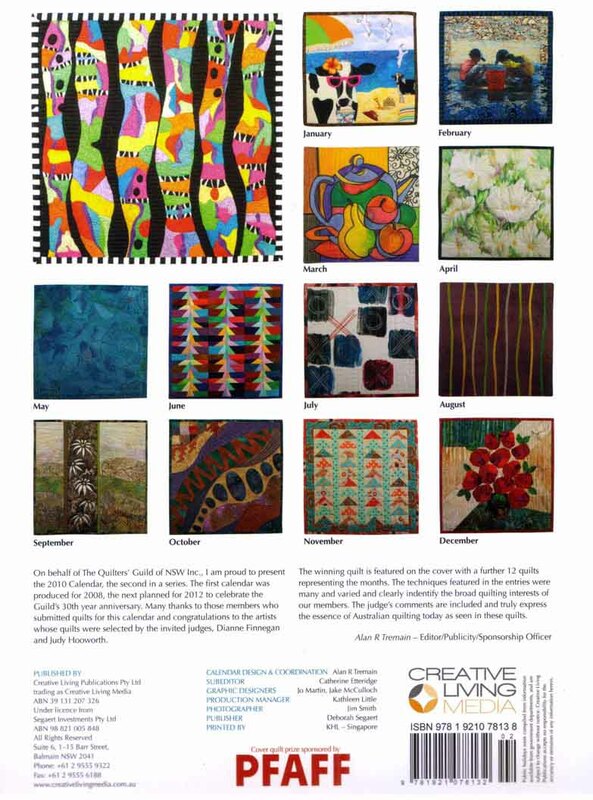 Fantasy quilts from the inaugural AP&Q AQC Challenge including the prize winning entry by Guild member Denise Sargo. 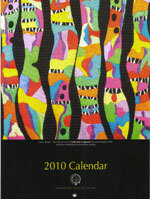 Join us at the Sydney Quilt Show at Darling Harbour 10 - 14 June 2009.